Did you hear about the haunting on South Street? No? Well, surely you've heard the rumors of ghouls being spotted up by Old Millers Pond. They've been said to follow the people who've seen them home. Yeah, that sounds like a horrible mess to us too. Oh, you didn’t go to Old Millers Pond did you? You did? 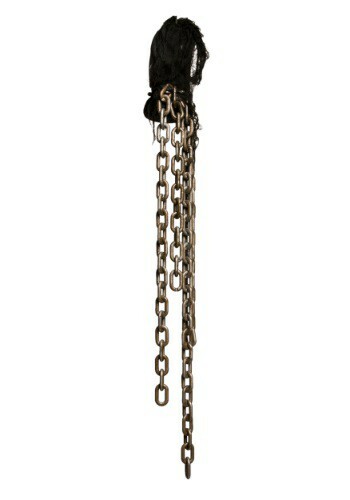 Ok, well we suggest you get these Shaking Chains Animated Prop, at least for Halloween. We hear that ghouls only really like to stay for Devils Night and Halloween. Hopefully, for your sake that’s the truth. The rattling of the chains might be enough to convince the ghoul that you already have a ghost in the house and do not need another one. And, if it isn't quite enough to convince them of that, you could always try to capture the ghoul with the chains. Good luck. I change the battery, but still does not do anything.